Today I sent off a tree mug and a forest mug to the USA where my customer was buying them for her daughter. Her name is Chiara and she is protesting against forest being destroyed for a new shopping mall by living high up a tree! Unbelievable that my tree and mountain inspired work will end up high in a tree on Bainbridge Island just off the coast of Seattle! I love it! So I looked her up and there is a song! What an inspiration!! 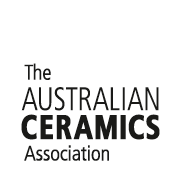 This entry was posted in Ceramic, environment and tagged a girl in a tree, australia, Australian Ceramics, Ceramic, ceramics, cups, environment, mountain, mountain clay, mugs, pottery, protest, Stoneware, tree. Bookmark the permalink. Thanks Yvette. Great song and wonderful to realise we have like minded others in this world.